– Start in table top position and extend your legs behind you so you are balancing on your hands and toes. Your shoulders should be directly above your wrists and your feet should be together. – Keeping your core engaged and maintaining a straight line from head to toe, swing your right leg to the side and gently tap your toes on the ground. Your right leg should be approximately 45 degrees from your left leg. – Bring your right leg back to center. Now perform the movement with the left leg. 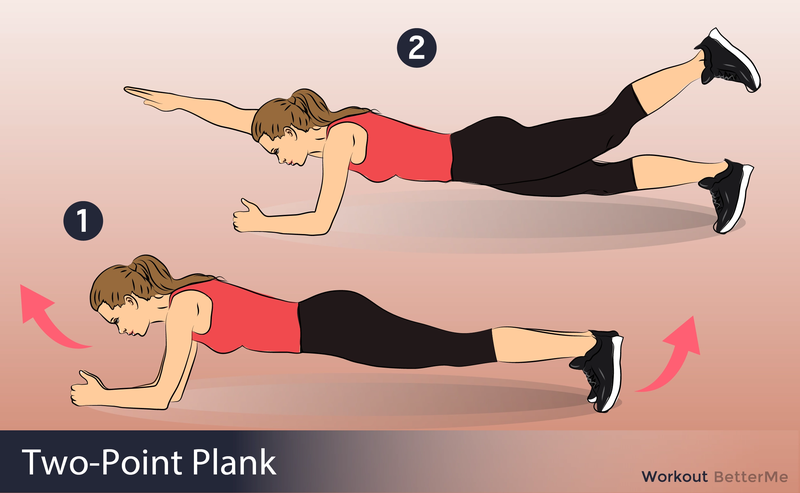 – Repeat these movements at a brisk pace for 30 seconds. 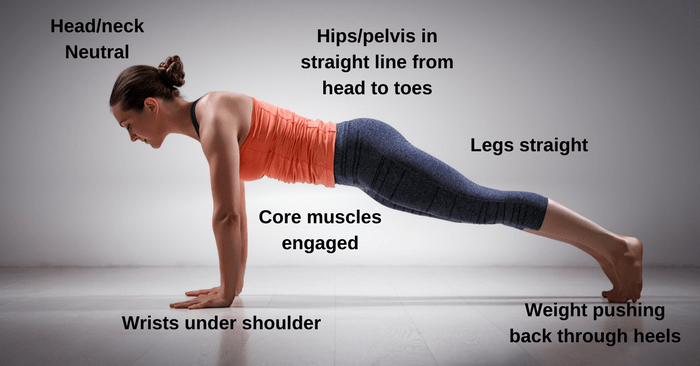 – Start in a standard plank position. – Extend your left arm and lift the right leg. Your spine should remain straight. Hold for a few seconds. – Repeat the same move with other arm and other leg.